Several years ago at an Economist Ideas conference in Berkeley, I asked Elon Musk whether he ever worried about spreading himself too thin. 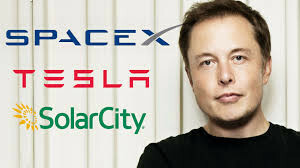 After all, Musk is not only CEO of Tesla, but also of SpaceX, and SolarCity, among other stints. His answer surprised me. “Not in the least,” he deadpanned. 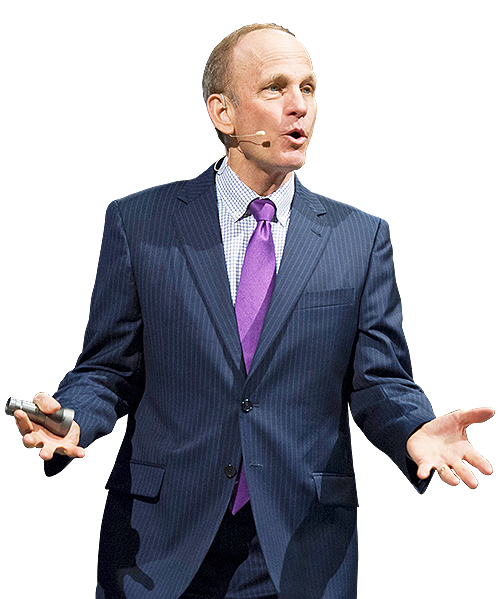 Sixty to 100 hour weeks energize him, he explained, because the work he does is so engrossing. For two decades, I’ve studied the success traits of standout innovators like Musk. I’ve spent time with FedEx founder Fred Smith, who was doing startups before startups were cool. I’ve learned at the feet of Jonas Salk. I’ve ridden helicopters piloted by Dean Kamen, inventor of the Segway, along with many others. Through the years, I’ve observed a growing recognition that innovators are made, not born. I’ve observed that individual creativity, rather than being an innate gift, is more the result of our habits, rituals, and routines. And these collectively, over time, greatly influence our success. Below are five habits that anyone can adopt. Apply them to your life and be prepared to turn the challenges you face into solutions, opportunities and possibilities. Habit: Identify when and where you do your best thinking. Each morning at five, award-winning choreographer Twyla Tharp works out for two hours at a Manhattan gym to fire her creative imagination. It’s been her pattern for 30 years. Tharp has created over 130 Broadway shows, and run a dance company too. But Tharp believes creativity isn’t just for artists: “It’s for business people looking for a new way to close a sale; it’s for engineers trying to solve a problem; for parents who want their children to excel, and who know that their creativity will be what differentiates.” If there’s a time of day when you do your best thinking, take advantage of it. If there’s a particular spot in your home or office that gets your creative juices flowing —be it the kitchen table or the bathtub or an obscure conference room on the fifth floor – go there. Set aside time to sit quietly in that space, alone and free of noise and distraction. Habit: Inspect your ideas list frequently. Take a look at your “Things to Do” list: that’s one collection of your ideas right there. What does your list reveal about the types of ideas you’re working on today? Are most of them tactical: attend the next meeting, pick up the dry cleaning, pay the bills, etc.? Or are there some bigger ideas on your list as well, like “change jobs” or reinvent the innovation process in your current company, or go on safari in Botswana? If your “big ideas” list is dormant right now, it may be time to renew it. Tune in to your larger goals, your “bucket list,” to where you want to be one year, three years out, and to those that could become breakthroughs. Habit: Manage your mental environment. Harvard professor Teresa Amabile studies creativity in the workplace. Her research demonstrates that people are most likely to have new ideas on days when they feel happy, and least likely when they are emotionally upset. “Of all the events that engage people at work,” reports Amabile, “the single most important driver by far is not bonuses or rewards. It’s simply feeling that ‘I’m making progress’ in the projects I’m working on.” When we’re around negative people, or dealing with situations fraught with negative emotion, creativity plummets. So take charge of your mental environment. Avoid negative people as much as possible, and try to confine the toxicity. Regroup from such encounters by making an effort to attract people into your life that stimulate your thinking and build your self-esteem. Habit: Make Time to Think. Doug Greene is one of the pioneers of the natural foods movement. Here’s how he described an important ritual for generating ideas to me in an interview: “Once a month I schedule what I refer to as a Doug Day. I create a block of time where I have absolutely nothing to do: no appointments. I’ll go to a different environment. I’ll sit and draw or whatever my first instincts are to do. I think about my team. I think about my level of passion and what’s going on with my energy level. I think about opportunities. And I have to say that if I hadn’t taken those Doug Days since I started the company, I wouldn’t have had nearly the success that we’ve enjoyed, and I wouldn’t have had the quality of life.” Imagine how refreshed and rejuvenated you would feel, and how many ideas you might come up with, if you allowed yourself to take a Doug Day. Everybody has ideas. But only a few know how to keep their idea factories fortified to churn out a wealth of them on a consistent basis, when and where needed, even when the heat is on.